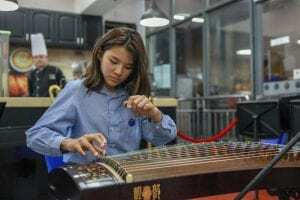 On the evening of Wednesday, January 16, 2019, parents, special guests from the Yew Chung Education Foundation Executive Board, faculty, staff, and students came together to celebrate the official launch of YCIS Shanghai Pudong’s three-year strategic plan. 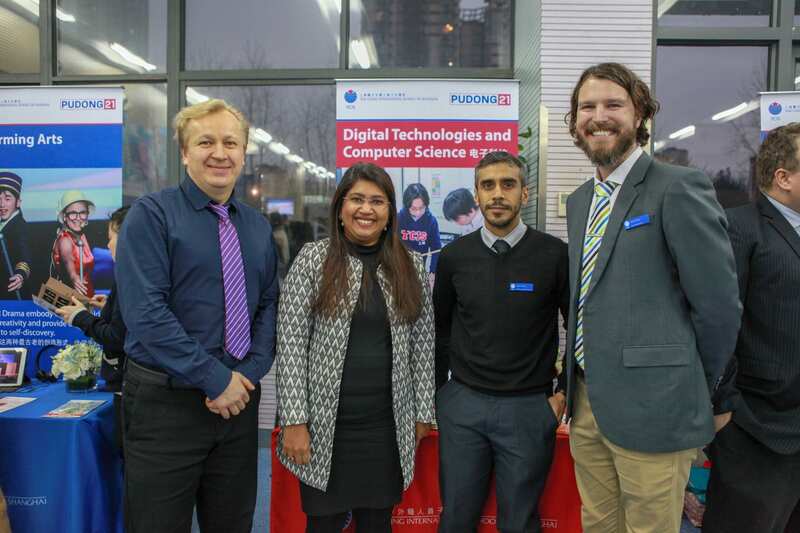 Titled ‘Pudong 21’, the plan sets out the school’s vision and focuses for YCIS Pudong’s development across a range of areas between now and the year 2021. 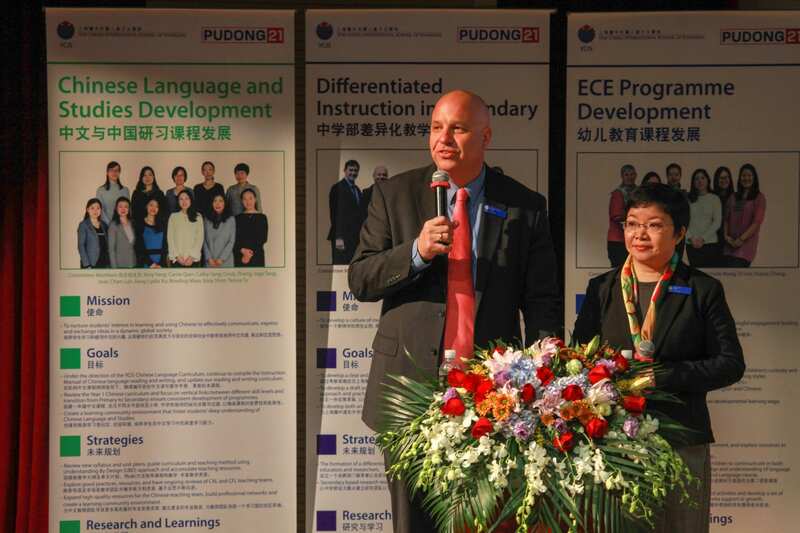 During the event, YCIS Pudong Co-Principals Mr Damien Hehir and Ms Mary Yu led a detailed presentation, giving the attendees the first glimpse at what YCIS Pudong has in store for its future developments over the coming years. 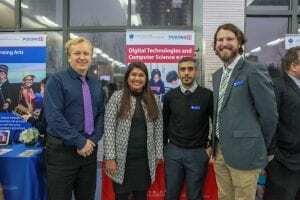 The audience members were able to learn about the plans in place for the development of innovative learning spaces and campus facility enhancement, community engagement, programme development, and how the school is planning on augmenting its robust student well-being and leadership programmes. The Co-Principals outlined the objectives that have been set for the twelve taskforce teams in charge of focusing on these different areas. Ms Yu spoke about how the strength of a long-term leadership team has laid a foundation for making solid plans. “A school needs to have sound policies and practices in place to ensure it runs smoothly. Of these, the most important are in the areas of child safety, curriculum, learning and teaching, and effective communication with the whole school community. 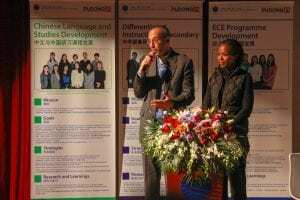 Because of the stable leadership at YCIS Pudong over so many years, we can provide this,” said Ms Yu. Mr Hehir reiterated the importance of having the students as the central focus of the plan. “The important thing for parents to know is that we have a plan for the future and we are working toward achieving goals that we believe will benefit our students, your children. Pudong 21 is a commitment to providing a forward-thinking, safe, innovative and collaborative environment for your children, and children who join YCIS Pudong in the years to come,” he said. The evening was also an opportunity for members of the school community to discuss how YCIS has helped shaped their lives. 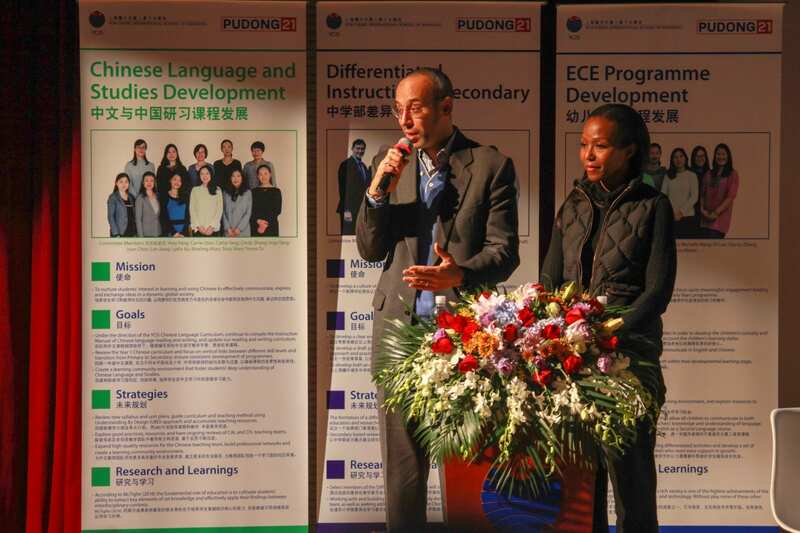 Long-standing YCIS Pudong parents, Mr Bruce Robinson and Ms Tess Robinson, who have sent all three of their sons to YCIS, the youngest of whom will graduate in 2019, spoke about their experiences as part of the YCIS Pudong community over the past 14 years. The evening also featured video interviews with alumni, Mr Liping Lin (Class of 2012) and Ms Elizabeth Robinson (Class of 2018), who reflected on their personal experiences as students at the school for over two decades between them. 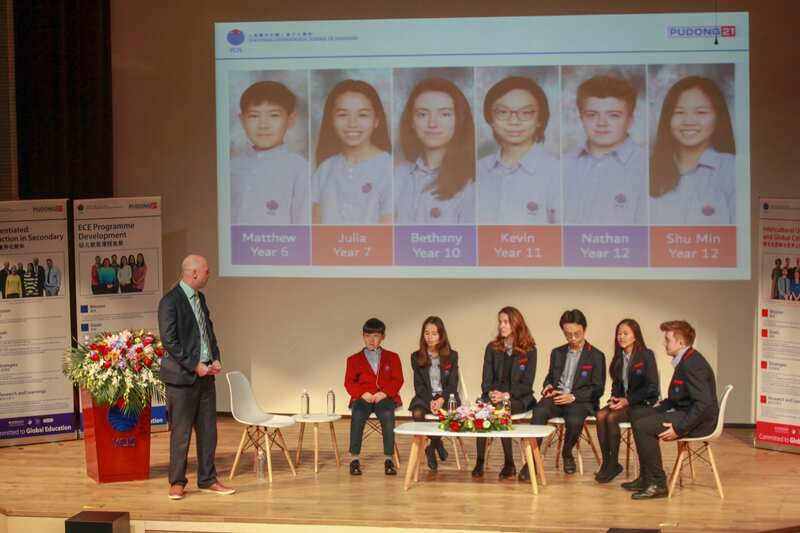 Finally, there was a video presentation featuring current YCIS Pudong students talking about significant and meaningful experiences they have had during their time at the school. 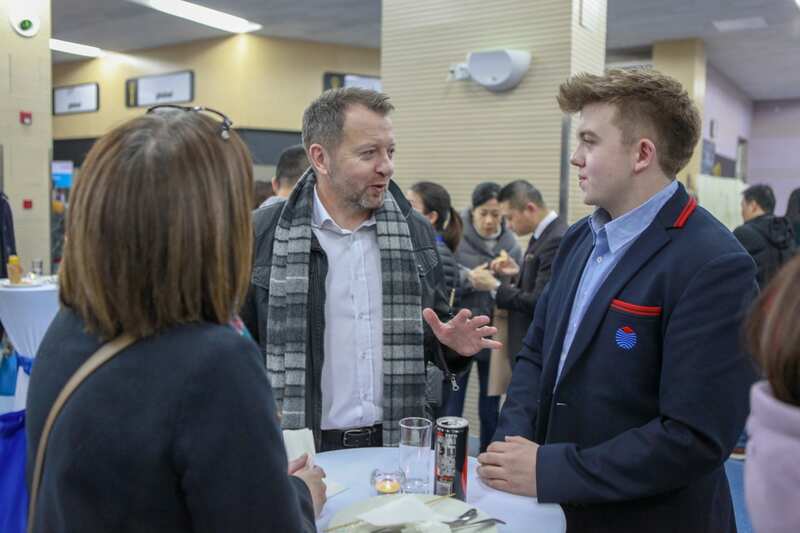 After the presentations, attendees enjoyed a dinner reception during which they were able to chat with teachers and senior leaders about the school’s programmes, strategic plan, and to socialise with one another and share their excitement about the future of the school. 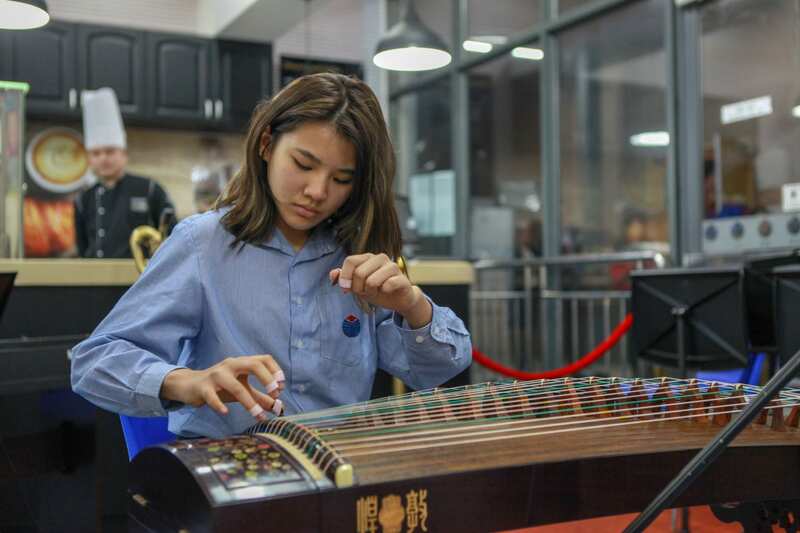 YCIS Pudong is clearly committed to furthering the enrichment of the world-class education that is being provided to our students, and Pudong 21 reflectsthis commitment. We would like to once again thank parents who were able to join the event, and we look forward to having additional opportunities to meet with everyone in our community to share more about this exciting vision for our future.